Because Spanish has so many different ways to say ‘you’ — singular and plural, informal and formal — it’s important for Spanish speakers and writers to identify the appropriate version for each person or group they address, and stick with it. I always “ding” my students if they, for example, waver between formal usage (usted) and informal (tú) within a paragraph. A public service poster currently on display in New York City subways features an error along these lines. This is a mediocre phone snapshot, I’m afraid, but I hope you can make out, after the large black words Si ves algo, di algo ‘If you see something, say something’, the smaller black words Tome un momento para alertar a un oficial de policía o empleado de la MTA, o llame al 888-NYC-SAFE ‘Take a moment to alert a police officer or MTA employee, or call 888-NYC-SAFE’. I have put the key verbs in red. The grammatical problem here is that ves ‘see’ and di ‘say’ are tú commands, but tome ‘take’ and llame ‘call’ are usted commands. Obviously, the MTA would do better to choose one mode of address and stick to it. Specifically, they should change tome and llame to toma and llama to reflect the informal usage of the ubiquitous Si ves ago, di algo slogan. New York is full of educated Spanish speakers. Surely some of them work for, or consult with, the Metropolitan Authority (MTA)? As someone who profoundly cares about the Spanish language, I find this kind of bureaucratic carelessness infuriating and even insulting. While searching for a better image of this poster, I came across a blog post about Si ves algo, di algo by a professional interpreter. He complained that this slogan itself is Bad Spanish. 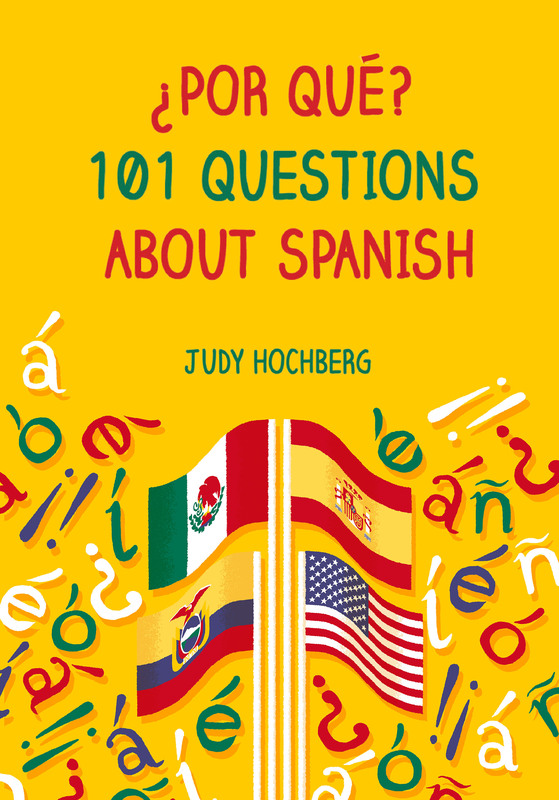 He argues that an English speaker hearing or reading If you see something, say something naturally interprets say something as say something about it, whereas a Spanish speaker does not make the same inference. My native English intuitions in this case have been blurred by years of exposure to the slogan, and I am not a native Spanish speaker. Therefore it is hard for me to judge whether this interpreter’s nuanced distinction is correct. Readers, help me out here! Next day: The same sequence of Spanish (more or less) is reproduced on the back of Metro Cards (subway passes), so you can see the writing clearer. Here what bothers me is all the Bad Spanish capitalization (e.g. “Combatir el Terrorismo”). 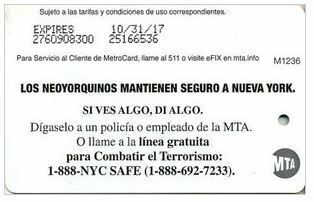 This entry was posted in Bad Spanish and tagged "If you see something say something", "Si ves algo di algo", Bad Spanish, MTA, New York on 5 April, 2017 by jhochberg.